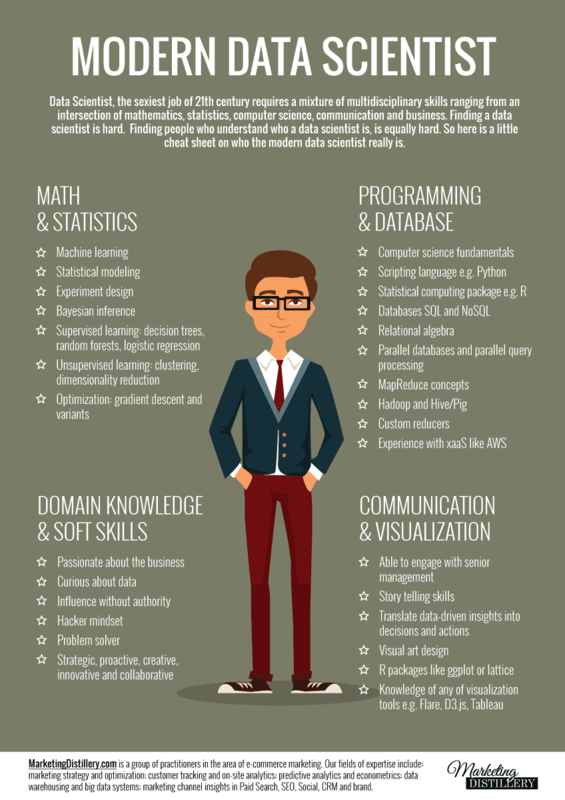 Data Scientist is someone who is not only well versed in statistics and programming, but who has the business understanding to translate data and analytics into business-relevant insights. This is a senior level role. If your goal is to end up there, you can start as a software engineer or junior analyst of some sort first. Data Science is an umbrella term for techniques used when trying to extract insights and information from data. In-depth knowledge of SAS and/or R. For Data Science, R is generally preferred. Hadoop platform: Although not always a requirement, knowing the Hadoop platform is still preferred for the field. Experience in Hive or Pig is a huge plus. 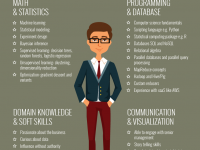 SQL database/coding: Though NoSQL and Hadoop are the major focus for data scientists, preferred candidates can write and execute complex queries in SQL. Working with unstructured data: It is extremely important that a Data Scientist is able to work with unstructured data—whether from social media, video feeds, audio, or other sources.